James Tinniswood: Is This Irony? On my tea break, I noticed this at the Donut King. Apologies for the blurriness. 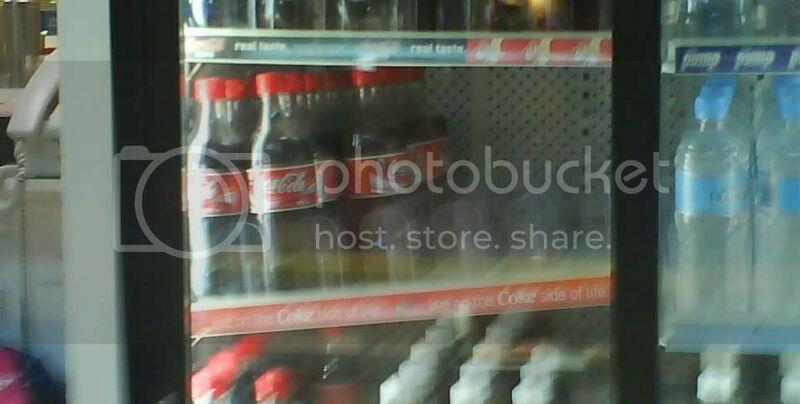 Underneath the shelf it reads "Live The Coke Side Of Life". Well, from where I was standing, the Coke side of life made it too heavy and collapsed it.